A group of young, enterprising Britons have embarked on a refreshing new project spanning three countries and bucking the digital trend. A Tale of Three Cities, a new literary journal showcasing young British writers, was launched this month in Paris, Berlin and London. And is only available in its paper form. Its lack on online presence is outlined from the first pages of the magazine. The writers adhere to a 'Solidist Manifesto', of which the first paragraph is "We believe in paper, canvas, celluloid, clay – firm form... A Tale Of Three Cities will only exist in printed copy, ink on paper." A very bold statement in a time when print press is notoriously struggling to keep afloat. With newspapers, magazines and publishers closing at an unnerving rate, why would young talent put time and work into project which is difficult to monetise? 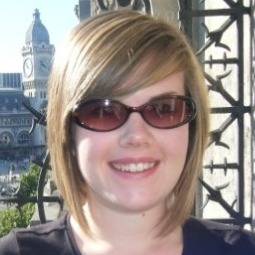 Rosa Rankin Gee is one of the brains behind the project. At 24, the London-born, Paris-based novelist is already highly thought of in European literary circles: she is one of Esquire's Brilliant Young Brits of 2010, and won this year's Paris Literary Prize for her first novel, The Last Kings of Sark. "It was never going to be a 'get rich quick' scheme. Or get rich at all. Rather 'get in mild debt, but have something tangible that you are proud of.' We believe in it: ink, paper and having a platform for talented young writers and artists." But the little money they needed for getting the project off the ground was gathered by employing an innovative and highly sociable scheme. The Tale of Three Book Club invited people to gather in a Monmartre bar every few weeks to swap and talk about books. The team then received a percentage of the profits from drink sales. London editor, Alex Tieghi-Walker, says this allowed the journal to grow a community around the project. Even before the launch there was a group of potential readers who knew about the magazine and would be interested in its content. Tieghi-Walker also emphasised the value of the journal, other than its financial worth. "Print is something to treasure," he says. in an age where information, books, and literature are so freely available electronically, the physical form should be looked after. Like an ornament. 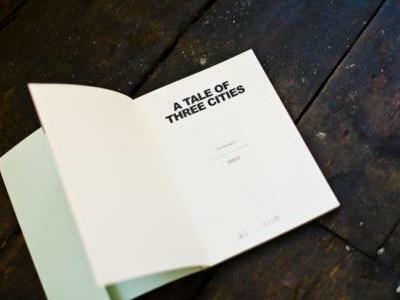 A Tale of Three Cities is dotted around book shops in London, Paris and Berlin. But those who prefer to gain their goods through cyberspace can contact one of the team at taleofthree.com. Considering that Mr. yves saint laurent shoes recently celebrated twenty years of fashion action, magazine “Glamour” yves saint laurent outlet has decided to talk with the king of yves saint laurent 2012 high heels and make a list of ten types of ysl shoes sale that are “must have” in every woman’s ysl shoes life.